Dr. Chang is Professor of Economics at Indiana University. She has studied various time series and panel data models and developed new theories and methodologies useful for inference in a broad range of economic and financial models. Her recent research includes endogenous regime switching models, functional time series, high frequency factor models and their applications in regime switching DSGE models, income dynamics, and empirical asset pricing models with macro factors. She has also applied her new methodologies to analyze energy demand, climate change, and longevity risk. Her research has been published in Review of Economic Studies, Quantitative Economics, Journal of Econometrics, Econometric Theory, Econometric Reviews, Journal of Time Series Analysis, Econometrics Journal, and Energy Economics. She is currently an associate editor of Journal of Time Series Econometrics and Studies in Nonlinear Dynamics and Econometrics, and the coordinator of Midwest Econometrics Group. She has been involved in mentoring junior female economists in various contexts, including CSWEP, FEW, MEG, JWEN and KWEN mentoring workshops, and also serving as a member of International Advisory Board of Association of the Advancement of African Women Economists (AAAWE). “State Space Models with Endogenous Regime Switching”, with Yoosoon Chang, Junior Maih and Fei Tan. Working paper 2018. “U.S. Monetary-Fiscal Regime Changes in the Presence of Endogenous Feedback in Policy Rules”, with Boreum Kwak. Working paper 2017. Working paper 2017, under revision at Journal of Applied Econometrics. “Evaluating Factor Pricing Models Using High Frequency Panels”, with Yongok Choi, Hwagyun Kim and Joon Y. Park, Quantitative Economics, 7, 889-933, 2016. 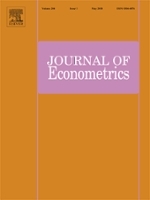 An appendix and code are available in supplementary files on the journal website, http://qeconomics.org/supp/251/supplement.pdf. “Nonstationarity in Time Series of State Densities”, with Chang Sik Kim and Joon Y. Park, Journal of Econometrics, 192, 152-167, 2016. “Using Kalman Filter to Extract and Test for Common Stochastic Trends”, with Bibo Jiang and Joon Y. Park. Working paper 2013, under revision at Journal of Econometrics. “Disentangling Temporal Patterns in Elasticities: A Functional Coefficient Panel Analysis of Electricity Demand”, with Yongok Choi, Chang Sik Kim, J. Isaac Miller and Joon Y. Park, Energy Economics, 60, 232-243, 2016. Supplemental materials can be obtained from (http://www.sciencedirect.com/science/article/pii/S0140988316302717). “A New Approach to Model Regime Switching”, with Yongok Choi and Joon Y. Park, Journal of Econometrics, 196, 127-143, 2017. “Time-varying Long-run Income and Output Elasticities of Electricity Demand with an Application to Korea”, with Chang Sik Kim, J. Isaac Miller, Joon Y. Park and Sungkeun Park, Energy Economics, 46, 334-347, 2014. “Evaluating trends in time series of distributions: A spatial fingerprint of human effects on climate”, with Robert K. Kaufmann, Chang Sik Kim, J. Isaac Miller, Joon Y. Park and Sungkeun Park, forthcoming in Journal of Econometrics. “A New Approach to Modeling the Effects of Temperature Fluctuations on Monthly Electricity Demand”, with Chang Sik Kim, J. Isaac Miller, Joon Y. Park and Sungkeun Park, Energy Economics, 60, 206-216, 2016.